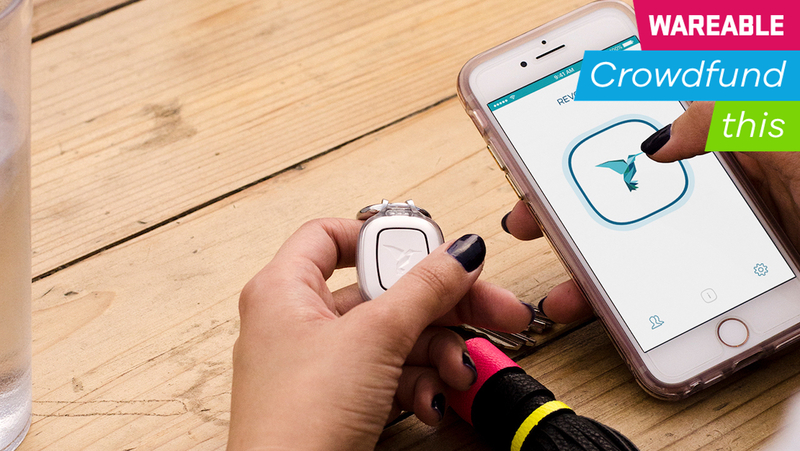 The original Revolar smart panic button was inspired by the the stories of co-founders Jacqueline Ros and Andrea Perdomo's family members. Ros' sister was assaulted twice while Perdomo's grandmother was kidnapped back in Colombia. The team also spent hundreds of hours talking to survivors about their experiences before crafting a device that was designed to help in dangerous situations. "Every time, time and again, we would keep hearing things like 'I couldn't reach my phone,' 'I knew something was wrong but I didn't want to cry wolf or be rude'," Perdomo, also president of Revolar, told Wareable. "From those things alone we knew Revolar needed to be discreet and that we needed to create differential alerts." The original device was essentially a button that allowed you to alert five contacts in three ways. One click is a safe check-in, two clicks is a yellow alert to family and friends that something is wrong, and three clicks is a red alert that tells family and friends to call emergency services. The device was small, and it could pop in and out of cases that could either be looped into your keys or clipped to your clothes or belt. Since that device launched in May 2016, Revolar has been talking to customers about the design of its follow-up, the Instinct, available on Indiegogo now. Perdomo said one of the things the company kept hearing was that a lot of users used it every day, so Revolar wanted to figure out how to make it even easier to slip into your everyday life. That's why the Instinct, which can still pop in and out of its case, comes with a new all-in-one loop and clip case. It's also half the size of the original device – about the size of a quarter. Because it's smaller, and easier to lose, Revolar added the ability to ring the Instinct. So if you misplace it you can just open up the companion app and ping the device, which will beep so you can track it down. It also has haptic feedback, so when you press the button it'll vibrate to let you know that you pressed it. You'll get a second vibration to let you know that your alert went through to your contacts. It also has some light activity tracking. "There were a lot of people who would only wear it on Saturdays versus Wednesdays," Perdomo said. "We've always wanted to encourage a wellness factor because we've always said if you're not safe you're not well. So we've actually added step counting not only to encourage everyday use, but to go on that message of safety and wellness going hand-in-hand." As for the future, while one of the company's goals is to make its panic buttons as wearable, seamless and reliable as possible, it also wants to raise awareness for why the company exists in the first place. Always a great question. Perdomo tells Wareable that the company just shipped the first 200 units, and that it's on track to start shipping other units in the first two weeks of May. Beyond that, the Instinct will be available in Target starting on May 21. Revolar has also blown past its Indiegogo goal, collecting $126,255 on a $50,000 goal. So really, why should you crowdfund this? You'll get an Instinct for $59, $20 less than its regular price, firstly. The second reason is that you can donate a Revolar Instinct for $50. "We've always donated devices to domestic violence shelters," Perdomo said. "That's an option on our site, if people don't think they'd want it for themselves, to donate it to someone who can't afford it." She tells us that trying to donate as many devices through various partners as it can is currently a big part of the campaign. The company has also been partnered with the National Domestic Violence Campaign, donating 1% of its equity to the non-profit. The Revolar Instinct looks like a safe bet, and Perdomo tells us it has several new features on the roadmap for the future, including a better experience for contacts, a community platform and the ability to contact emergency services directly.